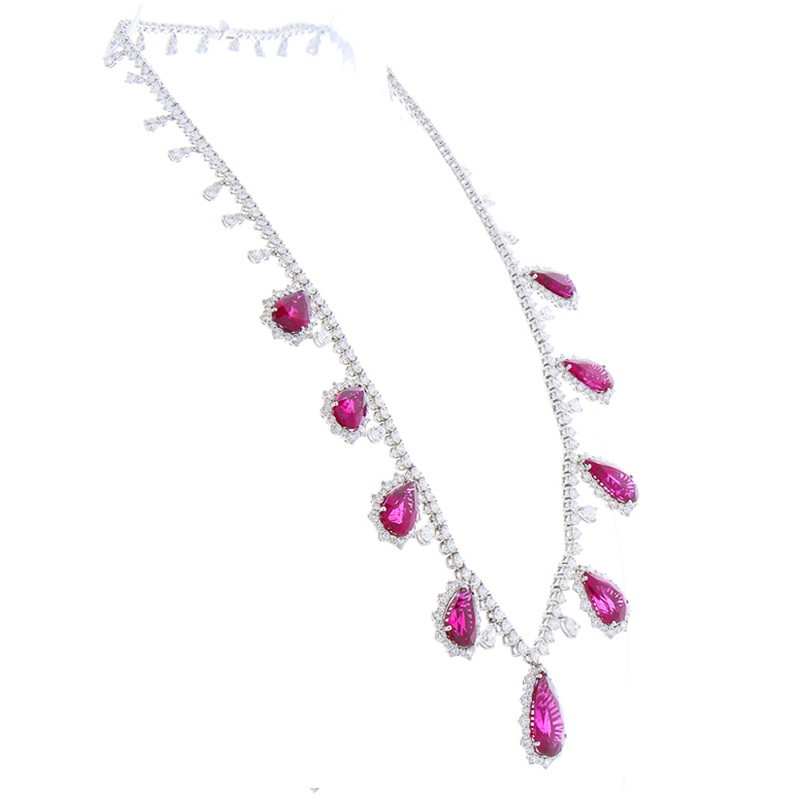 This jaw dropping diamond and rubellite necklace is a Red Carpet worthy piece of fine jewelry! The luxuriously dripping design features vibrant, pear shape fuchsia rubellite drops with sparkling pear shape diamonds stationed between each one. The rubellites have been sourced and collected from Brazil. It took approx 2 years and 3 months to collect these gems to match in sizes and color. It was worth it! This piece boasts an extraordinary 37.94 carat total of the richly saturated rubellite, with 23.91 carats of brilliant white diamonds. There are 383 fiery diamonds that are set together in enduring 18 Karat white gold. It all comes together perfectly to create an amazing piece!